You must be over 16 to register for a personal account, subscribe to The Stone and Garden Company emails and/or place an order with The https://www.stoneandgarden.co/. The Site is not intended for children and we do not knowingly collect data relating to children. The Stone and Garden Company is the controller and responsible for this Site. We are a company registered in the United Kingdom under registration number 07336680 and our registered address is Holme Wood Lane, Armthorpe, Doncaster, DN3 3EH, United Kingdom. We may also receive information about you from various third parties such as: analytics providers, advertising networks, search information providers and payment service providers. (v) for our own marketing, research and product development. to not be subject to a decision based on automated processing and to have safeguards put in place if you are being profiled based on your information. All information you provide to us is stored on our secure servers. Any payment transactions will be encrypted. We use 256-bit SSL Software to encrypt your payment card information when you place an order on our secure server.  For your added security all payment transactions are processed automatically by SagePay, and we are not party to your personal credit card or bank details. Where we have given you (or where you have chosen) a password which enables you to access certain parts of our Site, you are responsible for keeping this password confidential. We ask you not to share your password with anyone. Like many companies, we target The Stone and Garden Company banners and ads to you when you are on other websites and apps. We do this using a variety of digital marketing networks and ad exchanges, and we use a range of advertising technologies like web beacons, pixels, ad tags, cookies, and mobile identifiers, as well as specific services offered by some Sites and social networks, such as Facebook’s Custom Audience service. The banners and ads you see will be based on information we hold about you, or your previous use of the Site or any Application (for example, your Site search history, and the content you read on the Site) or on Site banners or ads you have previously clicked on.